No. 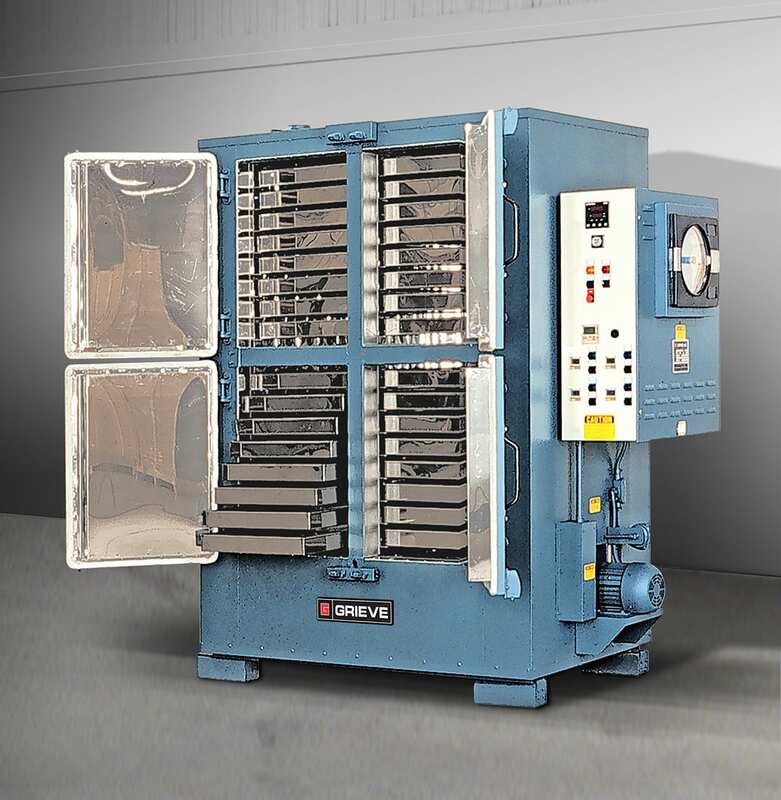 859 is a 550°F (288°C), shelf oven from Grieve, currently used for drying powdered resin in trays at the customer’s facility. Workspace dimensions of this oven measure 44” W x 30” D x 60” H. 12 KW are installed in Nichrome wire heating elements, while a 1000 CFM, 1-HP recirculating blower provides horizontal airflow to the workload. 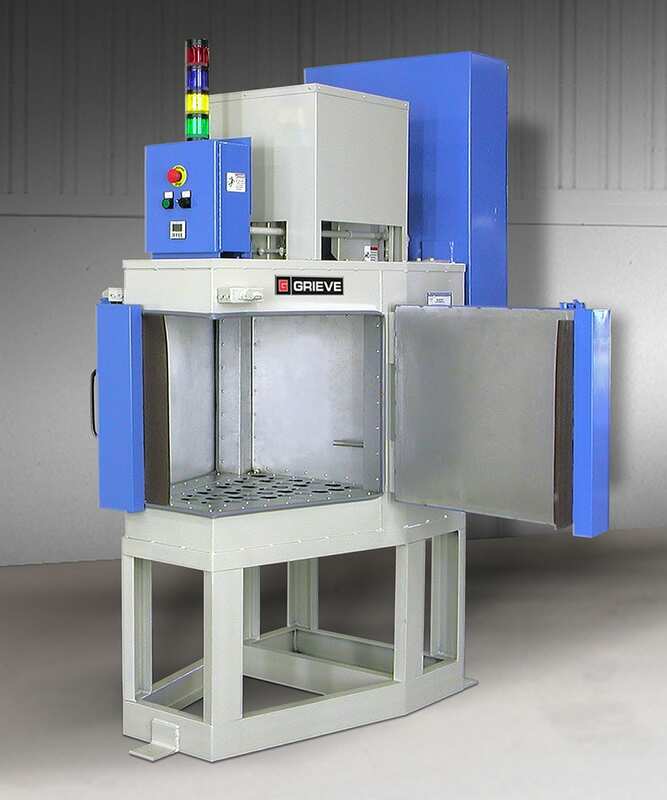 This Grieve oven has 4” insulated walls, Type 430 stainless steel interior and 4 independent doors for access to workspace, each opening 20-1/2” wide x 28-1/2” high. Features include 32 trays 19” wide x 29” long x 2-1/2” deep, a weekly timer to start and stop oven and a digital timer for each compartment with button and pilot light to indicate end of cycle. Controls on the No. 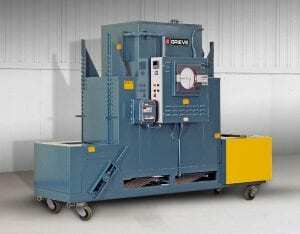 859 include a digital indicating temperature controller, manual reset excess temperature controller with separate contactors, recirculating blower air flow safety switch and a 10” diameter circular chart recorder. No. 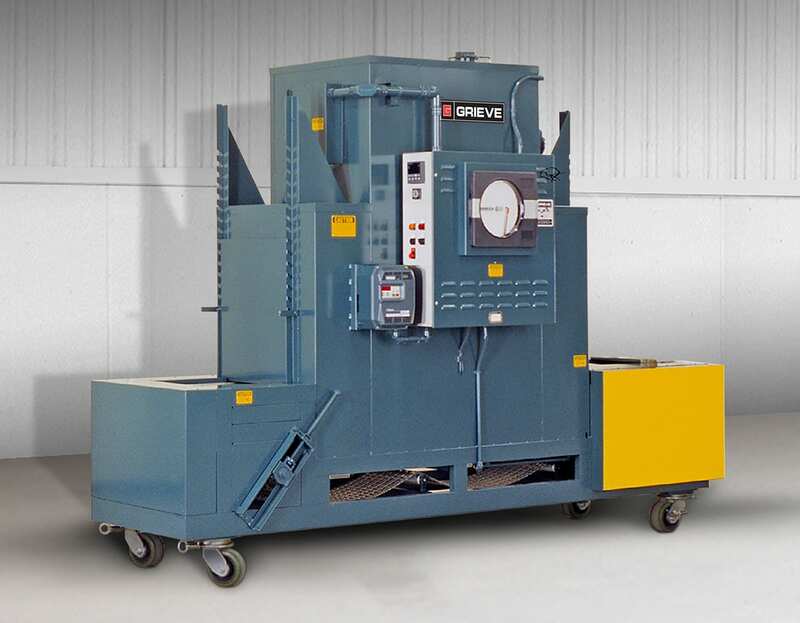 913 is 500°F (260°C), truck oven from Grieve, currently used for curing rubber parts hanging from the oven’s ceiling at the customer’s facility. Workspace dimensions of this oven measure 48” wide x 52” deep x 96” high. 24 KW are installed in Nichrome wire tubular heating elements, while a 1000 CFM, 1-HP recirculating blower provides combination airflow. 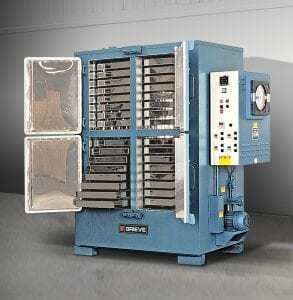 This Grieve truck oven has 4” insulated walls and an aluminized steel interior and exterior. The ceiling of the workspace is reinforced for 200 lb. load at customer support rack. It is sectioned to fit in a 5’ wide x 8’ deep x 6’8” high elevator. Controls on the No. 913 include a digital indicating temperature controller, manual reset excess temperature controller with separate contactors, recirculating blower air flow safety switch and a 10” diameter circular chart recorder.